Hello everyone and welcome to the 3rd edition of Card Reviews! 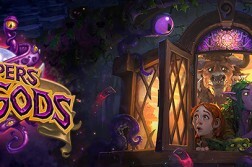 This time of course I’ll be talking about the new Old Gods expansion and what we can expect from some of the new cards coming out next month. 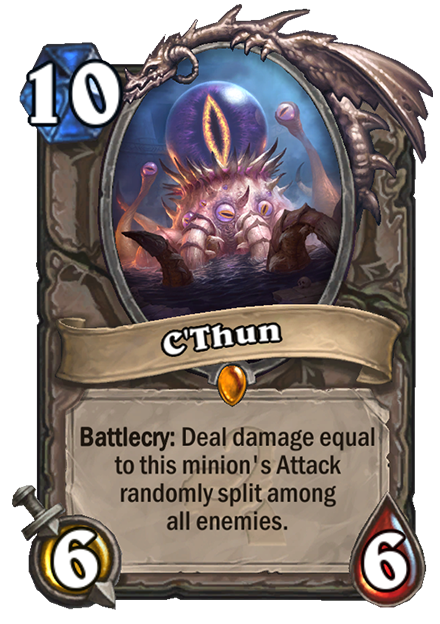 Ah, C’Thun, the poster child for this expansion is unfortunately a little lacking. First of all, if you include him in a deck without any of his support cards he’s fairly useless with a meager battlecry and subpar stats for a whopping 10 mana. This forces you to build an entire deck around him using the neutral minions to buff him up during the early and mid game. While it is theoretically possible to ramp him up to 14/14 or higher and then drop him for a massive avenging wrath, you are putting all your eggs in one basket. So many things could go wrong, the battlecry could not remove the minions you’re hoping for, or it might help your opponent more than hurt them if they have cards like Acolyte of Pain or Grim Patron in play. Furthermore, as soon as you play that first C’Thun card you telegraph to your opponent that it’s in your deck and they can save appropriate removal for it. Or you might not even draw him at all and then it won’t matter how much you’ve buffed him up. I could potentially see see slow control style classes like Warrior or Priest experimenting with C’Thun decks but it’s definitely too one-dimensional to see much pro or high ladder play. This card is awesome. 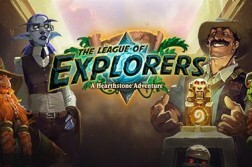 Blizzard REALLY wants you to play Murloc Paladin apparently. 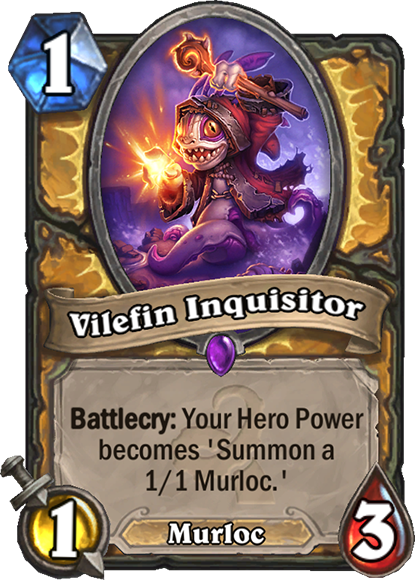 This guy will most likely replace Sir Finley in most Paladin Murloc decks because that hero power is simply incredible in that archetype. Expect to see more Murloc Paladins on the ladder but to be honest; I don’t think the addition of this card will be enough to cause pro players to adopt the deck. If they do, however, you can bet it’ll significantly shake up the Meta. 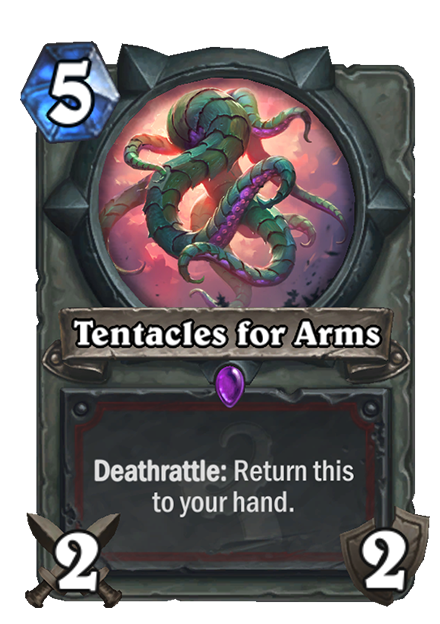 Another lackluster card here, The Tentacles will probably only be useful in extreme fatigue Warrior decks. At the end of the game when both players are out of cards this would be a godsend basically giving you the hunter hero power for 2.5 mana per turn. However, aside from that somewhat rare occurrence, Gorehowl will almost always be a better choice to go in a deck like that. You might see this occasionally on the ladder but I don’t expect pro players will add this in any time soon unless they’re expecting a fatigue Warrior vs fatigue Warrior matchup. This is actually a very good card for Freeze Mage. It gives you the potential to get that extra damage you need to push for lethal or to do silly things like have 3 Ice Blocks which your opponent could never plan for. 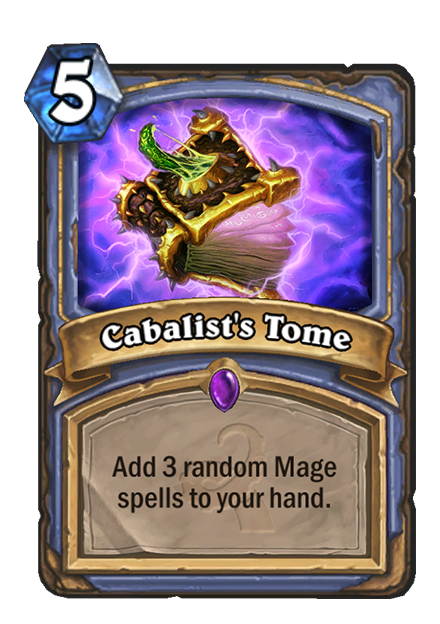 I don’t expect Mech Mage or Tempo Mage to use this card as it’s quite simply too slow. However, expect to see Freeze Mages add a copy of this to their decks once the expansion launches.